This is a square Postal Telegraph porcelain sign. This particular Postal Telegraph sign is blue and white. 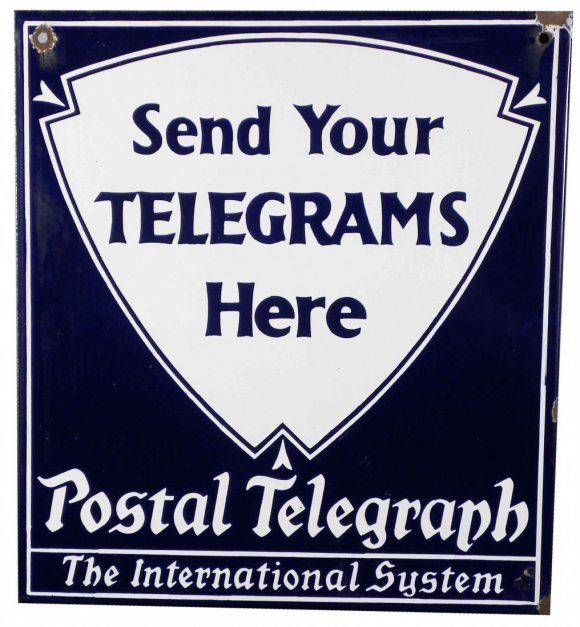 It reads, “Postal Telegraph, The International System, Send Your Telegrams Here” and features a decorative white triangle in the center of the sign.